Providing a full line of commercial and residential landscaping service. New landscape designs and installs as well as cleanup and makeovers. Veteran owned and operated, locally based. Kentucky Turf Professionals is family owned lawn business in Hardin County. We offer a full maintenance lawn care package, which also includes based materials. 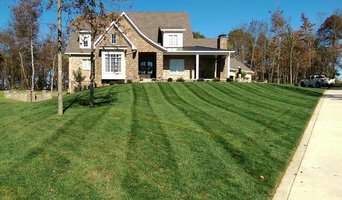 Kentucky Turf Professionals specializes in fertilization, spraying, landscape install and design, and snow removal. We want to be your one call for all outdoor services. We take pride in being able to suit your needs with one phone call. KTP has a passion for using the best products to produce a thick green lawn, free of weeds, fleas, ticks and other pests. KTP uses an Organic Based approach to all of its lawn programs to ensure maximum efficiency while limiting the amount of chemicals that are applied to your lawn. You can be 100% sure that all products applied to your lawn are SAFE for Humans, Pets, and Watersheds! CHRISTMAS LIGHTING SERVICES All Lit Up by Zeppas Design Consultation There are an endless number of Christmas lighting designs; no two are ever the same. Your holiday lighting vision begins with a complimentary design consultation. We customize each design to make your display merry and bright. You can meet with our professional Christmas light installers to discuss a specific looks or we can help you come up with ideas. 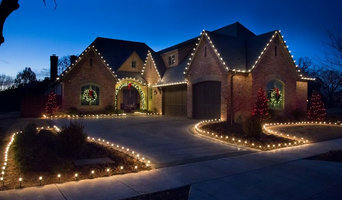 Our Christmas light installers will help you bring your vision to reality. Our holiday lights are second to none with beautiful and captivating displays. Installation Our fully licensed and insured installers have the tools and experience to do the job. Every Christmas light installer has been fully trained to properly install your Christmas light display with your home in mind. They use systems and methods to install your lights quickly, efficiently, and without any hassles. We take pride in providing our customers with quality professional installation to ensure your lights are installed with the utmost care. Maintenance Our goal is to take the hassle out of your holiday lighting and give you more time with your family! When bulbs go out or an unexpected storm ruffles your display, give us a call and they will come fix it. We will make sure your holiday lights stay looking perfect all through the season. Removal Come season’s end, our crews will be back to take down your display with the same attention to detail and care as your installation. Removals begin January 2 and go through January 20 (weather permitting). We are a licensee for We Hang Christmas Lights. The Fransen Group is a full service Lawn & Landscape construction and maintenance company. Let us design and install the outdoor space of your dream! Alex has been in the turf & landscape industry for over 19 years completing some of the most prestigious and exslusive landscape projects in and around the regoin. The Fransen Groups passion and dedication to quality and craftsmanship is apprant in each and every project. Busy Blades Lawn Care, LLC. Busy Blades Lawn Care LLC. is a family owned and operated complete grounds maintenance company that has deep roots right here in Louisville Kentucky. 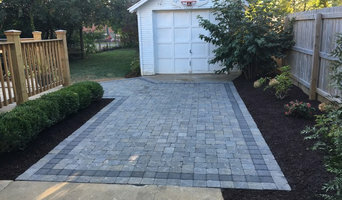 We have many years in both commercial and residential creative landscaping solutions and maintenance for an array of satisfied and grateful clients. Here at Busy Blades, we operate on the belief that our customers' needs are of the utmost importance. As a result, a high percentage of our business is from repeat customers and their referrals. Hi My name is Justin Johnson. I've been caring for lawns and working outdoors since I was old enough. Both the passion I have for this work, and seeing the satisfied faces from my clients along the way, have kept my momentum strong. As a smaller, locally-owned Landscape Company, we strive to provide excellent customer service on every job. We show up when we say we will with the right equipment every time, guaranteed. I hope that the zeal to live an abundant life shines through my abilities, giving you the healthiest lawn, trees, and flowers possible. About us - What we do -Tinius Landscape & Aquatics is primarily a general landscape contractor. We do all types of design, maintenance, and installation of both landscapes , ponds, oriental gardens and more. Additionally, we have our own nursery for plant materials where we also breed koi & goldfish on a limited basis. In the past few years we've added concrete and related items to our abilities. Company Information -- Tinius Landscape has been in business for over 25 years. We are located in New Albany, In. and have a small nursery site there as our base of operations..Appointments may be made by contacting us at 812 945-0707 OR 502 807-5248. Contact may also be made by e-mail @ mrkoiguy@aol.com. Toby’s Lawn will provide you with personal and friendly service and a range of solutions for all your lawn and landscape needs. Whether it is a custom design or a renovation of your existing landscape, we will work with you through the entire process, providing a plan to provide lasting beauty, and address specific landscape needs. We would like to help you enhance your home with a retaining wall or patio, and transform your home to have the look you've always wanted. We would love to help you decide on the best look for your home with our expertise we can answer any of your questions along the way. We work hard to give you YOUR vision of your yard. Our ultimate goal is to give you a QUALITY job at AFFORDABLE prices. Welcome to the Family! 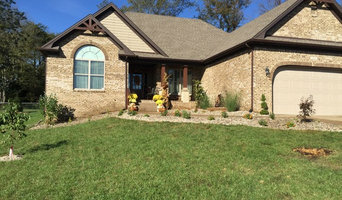 Why should I hire a Brandenburg, KY gardener or landscaper? Even if you do have a few green fingers yourself, gardeners in Brandenburg, KY will have the experience and training to carry out larger landscaping projects and will have the eye for what works best where and when in your garden. They may work with a landscape designer or architect who will put together the plans that they then execute, or they may do this work themselves. If you’re looking for a Brandenburg, KY landscape architect, or perhaps you want to select your own garden supplies yourself, then you can find the right professionals for this on Houzz, too. Here are some related professionals and vendors to complement the work of landscape contractors: Landscape Architects & Garden Designers, Garden & Landscape Supplies, Stone, Paving & Concrete, Tree Services. Once the plants have been chosen, planted or potted, and the lawn or patio laid, then your garden will be ready to enjoy, but never completely finished. Like all living things, your garden will grow and change with time and the seasons, so it will need a bit of TLC and garden maintenance from time to time. This is when you may want to hire Brandenburg, KY gardeners again, especially if you have a very large garden or landscaped area that needs constant upkeep. Hire Brandenburg, KY gardeners to water, weed and prune your plants, keep the lawn trim and green, and cut back any over growing trees. Some Brandenburg gardeners may source their own garden supplies, while with others you may have to do this yourself. Find landscapers or gardeners on Houzz. 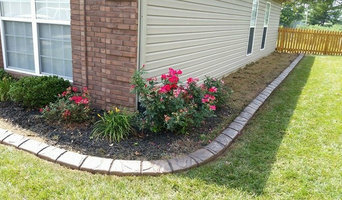 Narrow your search in the Professionals section of the website to Brandenburg, KY gardeners and landscape contractors. You can also look through photos of Brandenburg, KY landscapes and gardens to find one you like, then contact the Brandenburg, KY gardener who worked on it.